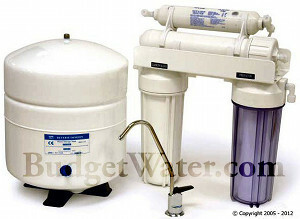 Water Filters of America™ features office and home water coolers. Don't get locked into rental Culligan water dispensers when our high quality premium water coolers are so affordable . Don't pay thousands in rental costs and hidden fees with a Culligan water dispenser. Our home water coolers use generic containers that can be refilled at local grocery stores for around two dollars on average. Culligan and other office delivery services offer their water coolers for sale at a low cost so that they can make expensive water deliveries. Avoid the Culligan water cooler trap and call today about one of our high quality affordable water coolers for sale. No hidden fees, no promotional periods, and no expensive water deliveries. Just simple, easy, and affordable water coolers. All are premium quality coolers offered at budget prices. We make buying a cooler far cheaper than renting. We have full sized bottled water coolers and bottle-free water coolers. We also have counter top water coolers. We have filtered water coolers. We even have filtered water coolers that have no bottles. They use your everyday tap water and then purify it to remove unnecessary and unwanted contaminants such as chlorine, other harsh chemicals, PCBs, cold and flu viruses, nitrates, pesticides, fertilizers, arsenic, fluoride, lead and more! You can have all of this for just pennies a day. Counter Top and Bottleless Water Coolers Too! Why rent an expensive water cooler system, when you can buy one for a fraction of the cost? Culligan® and other companies rent water coolers for the home for $10 to $50 per month and you pay for it forever. Then you have to buy the expensive bottles of water, which are often marginal in quality. For $5 or less per month on your credit card bill, you can buy a state of the art water cooler and be done. A high quality hot and cold water cooler dispenser from us will add about $5 per month to the average credit card bill. It will be paid off in no time and you will own it. Or you can rent one for the next ten years from those other guys at $10 per month. That comes out to $1200 for 10 years. $2400 for 20 years. What if they charge you $20 per month? And, you have to buy those cumbersome bottles of water. It is insane! Or you can BUY IT from us for a total cost of about $100. Do the math. If the average cost for the water cooler dispenser rent and the expensive water you use is only $35.87 total, that comes out to over $4,200 over ten years! When you rent a water cooler or dispenser, you have to buy the water to use with it Then you pay extra for hot and cold water. That can run as much as $30 to $50 per month. Or you can get the actual bottle from us for $15 and refill it for $2 or so from the local grocery store. Better yet, you can buy the "bottleless water cooler" for just a little bit more and get rid of the hassle of refilling bulky bottles forever. Which makes the best business sense to you? The local water dealer, whether it is Culligan® or whoever, traps you into the rental. Then the price often goes up after a few months of an introductory offer. When people need water coolers for the home is it simply stupid to rent and pay hundreds and hundreds of dollars in ongoing expenses. And it is the same for business water coolers. You can spend thousands, or you can spend around a hundred bucks. What would your prefer? And if you add the high tech reverse osmosis purification filter system for under $200, your water will be as clean or cleaner than any bottled water company can provide. And, without the plastic taste. It is the most environmentally friendly way to go as well. Why pay more for less quality water? Even if you are on a city water supply that is awful, our filter systems will make it as clean and crystal clear as a cool running stream. All for pennies a day. You can make your hot tea or cocoa right from the hot water dispenser. Or you can have a fresh clear glass of cold pure drinking water right from the water cooler for just pennies a day. Doesn't your family deserve clean pure drinking water? Now you can do it for a mere fraction of what those high priced cooler companies charge, with their slick sales tactics and rising costs after the sale. And we give you 7 day customer service and support for free, for a LIFETIME! These beautiful "Top of the Line" quality water coolers provide room temperature water for cooking, or ICE COLD drinking water for instantly cold beverages. The open design allows you to get large containers, such as pots, pans or coffee pots under the dispenser. These beautiful "Top of the Line" quality water coolers provide piping HOT temperature water for cooking, hot beverages like cocoa, teas, soups etc. Dispenses ICE COLD drinking water for instantly cold beverages. The open design allows you to get large containers, such as pots, pans or coffee pots under the dispenser. OUR PREMIUM BOTTLESS WATER COOLERS "COOK/COLD"
OUR PREMIUM BOTTLESS WATER COOLERS "HOT/COLD"
Great Deals on water cooler bottles. We have 3 gallon or the larger 5 gallon bottle for more storage capacity. Have a bottled water cooler? These gallon water bottles will fit any water cooler unit on the market. We have two options; a smaller 3 gallon bottle and a larger 5 gallon bottle. Add A Reasonably Priced Reverse Osmosis System For Great Tasting Filtered Crystal Clear Drinking Water. A reverse osmosis drinking water system is a state of the art water filter system that removes: Sodium, Salt, Nitrates, Fluoride, Lead, Heavy Metals, Cysts, Cryptosporidium, Bacteria, Tastes, Odors, THMs, Chlorine, Radium, Dissolved Solids, Pharmaceuticals, Sewage Treatment Plant Waste and More.